"Over-Acidification of the body is the single underlying cause of all disease. The secret to great health and losing weight is maintaining that delicate pH balance of the blood." As learned before, Acidosis describes a too acidic pH body condition. Unfortunately, if our inner terrain becomes too acidic, our bodies are also more prone to several unhealthy conditions and diseases (Acidosis Symptoms) which are overweight, underweight, joint pain and arthritis, headache, chronic fatigue, acne, osteoporosis, allergies, infections and many more. Overweight - When we ingest too much acidic food, our body must somehow deal with the excessive acid. In the case of an overly acidic pH, the body’s primary concern is to keep the acid far away from any vital organs. It will therefore produce fat cells to store the acid wastes – gaining fat is the easiest way for the body to assure that all body functions can still work properly. As a logical outcome: when we change our diet to a more alkaline style, thus rising our pH out of the acidic range, the body won’t need the fat cells anymore to store the acid wastes and we'll lose (now unnecessary) excess weight. Joint Pain & Arthritis - When our pH is too acidic, our body needs to rob our vital organs and bones of essential minerals such as calcium, sodium, potassium, and magnesium in order to neutralize the excessive acids, resulting in joint paint and arthritis. Chronic Fatigue – If you inner terrain is unbalanced (in a constantly acidic environment), parasites and bacteria are much more likely to thrive. This in turn leads not only to a decline of our oxygen levels, but in the long run will result in chronic fatigue and low energy levels. Acne – Of course there are many different reasons for unhealthy skin conditions. One of these reasons is the ingestion of too many acid forming foods. If your body is overloaded with acid wastes, it also tries to push out these toxins through your skin. Important: Acne causing bacteria is not able to survive in a clean, alkaline skin. Osteoporosis – Many people concerned with osteoporosis believe that drinking milk and eating dairy products helps them to combat their illness. Unfortunately this is a myth – osteoporosis is a symptom of Acidosis (remember: all dairy products are acid forming). An acidic pH is the reason that our body robs calcium from its teeth, its bones and its tissue in order to protect us against illness and disease. Have a look in countries where people consume very few dairy products – you hardly find someone suffering from osteoporosis. Underweight – An acidic environment promotes the growth of yeast and fungus within our body. Both nourish on our nutrients we consume, thus stealing up to 50% of our vital minerals, vitamins and amino acids. Only a pH balanced body can achieve a healthy ideal weight. Heart Problems – An unbalanced pH leads to the growth of bacteria, fungi and viruses which will stick to arteries, thus leading to clots. Clots are generally the reason for heart attacks as they limit the proper flow of blood. Allergies – Especially food allergies but also skin problems occur when too much toxins are stored within the body. Toxins are built up through the consumption of too acidic foods. Another reason for the occurrence of allergies is a weakened digestive system which also results of an unbalanced body pH. Infections – An acidic pH also promotes the growth of microbes in our respiratory system. The respiratory system’s primary function is to supply the blood with oxygen in order for the blood to deliver oxygen to all parts of the body. Microbes thus attack our cell system, leading to headaches, asthma, bronchitis, infections, colds, etc. 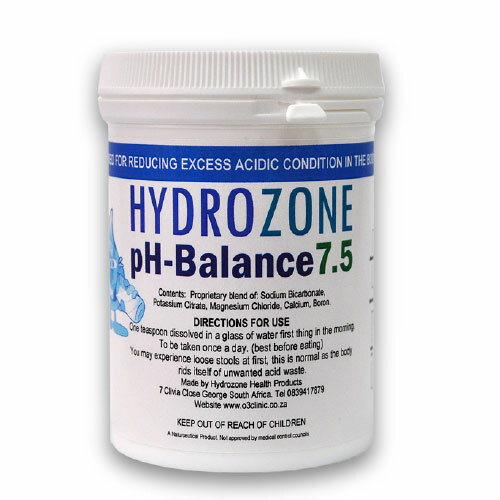 Only when the pH levels of our body fluids are alkaline, only then we are able to restore and maintain overall health. Start alkalizing today! ACIDOSIS is the basic foundation of all disease. We need to understand the simple process of alkalizing our body and the important role a properly alkalized body plays in restoring and maintaining our overall health. Our glands and organs function properly in exact proportion to the amount of alkaline and acid levels in our system. The heart is one of the most alkaline-dependent organs in the body. It is partly enervated by the vagus nerve which functions best in an alkaline environment. Correct heartbeat is altered by acid wastes. These wastes rob the blood of proper oxygenation and degeneration of the heart follows. An alkaline system creates an ideal heart function. Digestive difficulties (belching, bloating, sensitivity at the waist, intestinal gas, regurgitation, hiccups, lack or limitation of appetite, nausea, vomiting, diarrhea, constipation, colic in children) may indicate vagus nerve problems and possible hiatus hernia syndrome, which can produce acid residue throughout the system. Hiatus hernia can quickly reduce necessary hydrochloric acid in the stomach. Without proper hydrochloric acid breakdown of foods, the foods become too acidic. The liver has over three hundred functions, including processing acid toxins from the blood and producing numerous alkaline enzymes for the system and is your first line of defense against any poisons. All the nourishment obtained through the gastrointestinal tract enters the blood by way of the liver. The load on the liver is much heavier when acid waste products are constantly floating in the blood. If the liver becomes too congested with protein acid wastes, death is imminent. The pancreas is highly dependent on correct alkaline diet. All aspects of pancreatic function reduce excess acidity and regulate blood sugar balance. 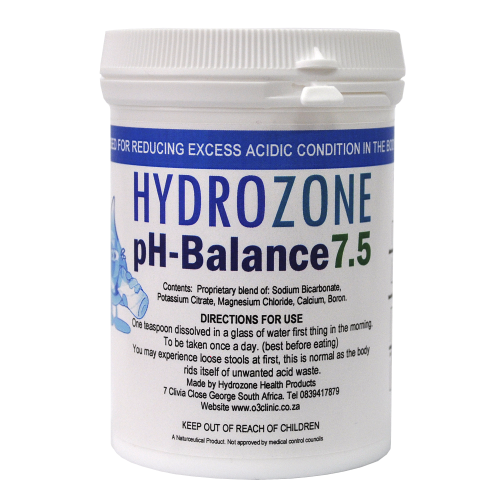 To have proper blood sugar balance, you must maintain a primarily alkaline-forming diet. The Peyer's Patches, in the upper portion of the small intestines are crucial to life. They are essential for proper assimilation of food and producing lymphocytes for the lymphatic system's wide ranging nodal network. They also produce large amounts of the enzyme "chyle", which is a major alkalizing substance. The uninterrupted flow of chyle into the system is crucial. Too much acid waste production from acid-forming foods is a great burden on the Peyer's Patches, which lessens the production of chyle. In an adult, about 1 liter of blood per minute passes through the kidneys. By executing their primary duty, the kidneys keep the blood alkaline and extract acid. Kidneys that are over-stressed with too much acidity create kidney stones, which are composed of waste acid cells and mineral salts that have become gummed together in a waste acid substance. Therefore, by reducing acid-forming products from entering the body, the chances are better that you can avoid this painful condition. The colon must be kept clean of accumulated acid wastes. Poisons collect on the colon walls and in cases of diarrhea or constipation will harden and reabsorb into the bloodstream. Good bowel action (complete elimination) must be done at least 2 times per day. There are 600-700 lymph glands in the body. Lymph fluid carries nutrition to the cells and removes acid waste products. Lymph fluid flows best in an alkaline environment. When the body is overly acidic, it slows, creating one of the most chronic, long-term, life-threatening situations. Gradually, the lymph dries and begins to form very tiny to very large adhesions throughout the tissues. These adhesions can interfere not only with lymph fluid but with blood flow as well. Hindered lymph flow increases tissue acid storage. Not drinking enough purified water will also slow the lymph. Waste products from foods that are not properly digested are reabsorbed into general circulation via the lymphatic ducts of the small intestine. In addition, bowel movements that do not completely clear the body of its daily poisons are also reabsorbed. Have you ever been so upset with someone or something that you get an upset stomach? All negative emotions create an acidic environment. Have you ever heard anyone say you are letting your problems "eat away at you" or "get the best of you"? Fear is the underlining cause of most disease. It will undermine your life and your health. Fear causes anger. Anger causes hate. Hate will consume you with continual suffering. Love and understanding cleanse and heal the body creating an alkaline environment within you. Moderate exercise is alkalizing to the body. Excessive exercise (past the point of exhaustion) can create an acidic problem due to lactic acid buildup. People who are acidic usually feel worse from exercise because their detoxification organs are not working properly due to excessive acid in the tissues. Yet without exercise, acid and toxin buildup are likely. As the saying goes - "every step you take, every breath you take ...". If your environment is polluted with chemicals, dust, smoke, pet dander, mold, micro-organisms, then much of your energy reserve will go just in detoxifying. Today, even in the forest and near the ocean, the amount of negative ions are much lower than they were only a few decades ago. Also, since we sealed buildings to conserve energy and started making our homes and furnishings with synthetic materials, the number of cases of asthma and chronic fatigue have risen dramatically. Food combining is key to creating an alkaline environment because when you combine properly you reduce putrefaction in the body creating a more alkaline condition. When you purchase supplements you must ask yourself what your goal is and will these supplements actually help alkalize and remove acid from your body. Green drinks are very helpful in filtering out toxins and acidity in the body. Eating an alkaline diet is very powerful in making everything else work better. In general, it is important to eat a diet that contains both acidic and alkalizing foods. People vary, but for most, the ideal diet is 75 percent alkalizing and 25 percent acidifying (foods by volume).